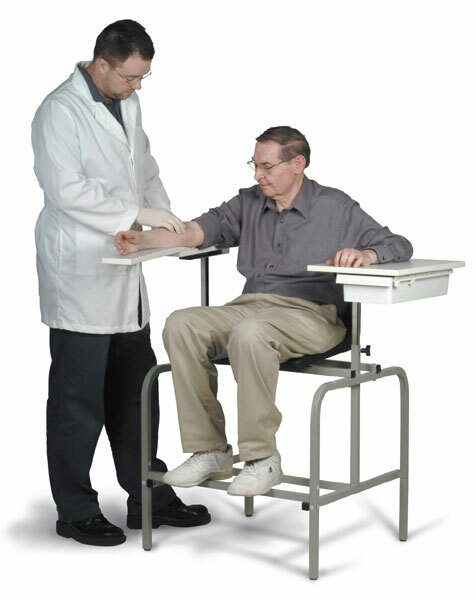 Hydraulically adjustable chair height from 20”-27” allows for patient safety and technician’s comfort. The molded seat is easy to clean. Patient Weight Capacity 300 lbs.